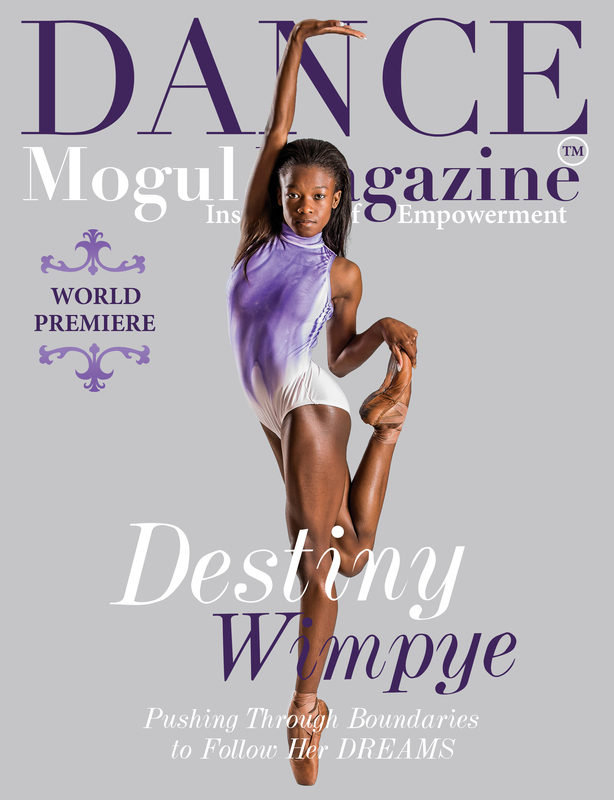 Dear Readers Join us as we celebrate Teen Dance Sensation, Destiny Wimpye, in this month’s issue of Dance Mogul Magazine. This is a first of its kind full feature magazine. Yes!…An entire magazine devoted to celebrating Destiny, while offering inspiration and encouragement to young dancers all over the world. Destiny has been dancing since the age of 3. Not only does she love to dance, but she also values her education. She currently has a 3.8 GPA in school. She has studied Ballet, Jazz, Latin Fusion, Tap, and African dance. Destiny’s love and passion for dance have allowed her and her mom, Keisa, to relocate from Atlanta to Los Angeles, California. Destiny’s most recent accomplishment is playing the lead role of “Kara” in Debbie Allen’s, The Hot Chocolate Nut Cracker. She is an Ambassador for Brown Girls Do Ballet. She made her television debut this past December 2016 with a stage performance on the Mariah Carey Disney Special.